Wedding Fair's - Come meet Doris Loves in person! Are you loving Doris Loves but wishing you could see it all in person? Then why not come visit us at a wedding fair? Please come and say hello! We’d love to meet you! Wondering if wedding fair’s are really you? Don’t worry I was one of those brides too. But that’s why I’m selective about which wedding fairs we attend. Like everyone weekends are precious, so if I’m giving up mine it’s to surround myself in wedding AWESOMENESS!!! Belles Events and Most Curious have never let me down!!! I come away buzzing after meeting so many friendly and wonderful couples with amazing ideas. 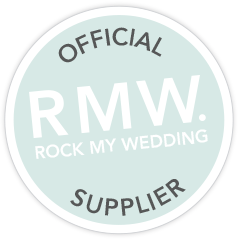 Not only that but I end up with a full contact list of creative, imaginative and wondrous suppliers many of which I now call friends. So if you’re looking to be inspired? Come up with ideas? Meet friendly suppliers that LOVE what they do? Then when you ask yourself: Shall I give up my Sunday to come along?!?! Your answer should be YES! And I promise, you’ll be pleased you did!! !